Discussions Magazine Music Blog: CUTTING CREW: SPAZ reviews Add To Favourites! CUTTING CREW: SPAZ reviews Add To Favourites! Surprisingly, Nick has resurfaced in 2015 with the fifth Cutting Crew album and it will surprise anyone unfamiliar with their material apart from the singles. If you are expecting more of the same slick C-Crew sound, then brace yourself: Nick Van Eede and Co. have released an album that maintains the high songwriting standards that fans love them for yet travels a completely different musical path. Instead of slick AOR and Pop, Add To Favourites owes more to classic Van Morrison records than anyone else. The warm, predominantly acoustic and rootsy sound of the band is accented by horns, backing vocalist, a touch of Soul and Gospel, a real sense of fun and plenty of great songs. Van Eede’s voice sounds as great as ever albeit with more conviction than the band’s commercial glory days. “Till The Money Runs Out,” “Looking For A Friend,” “She Just Happened To Be (Beautiful),” “Berlin In Winter” and “As Far As I Can See” are high points on an album that exceeds expectations on all levels. And remember how the old C-Crew albums were slickly produced? 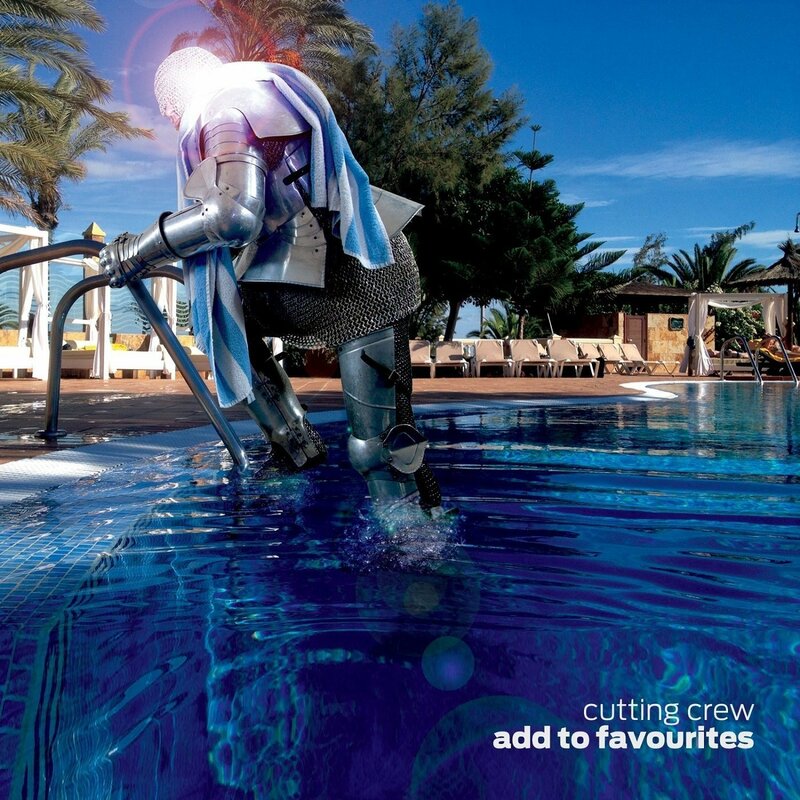 Add To Favourites is relaxed and even a bit rough around the edges compared to their past albums. There is also a lot more honesty on display here. One may immediately jump to the conclusion that the band has gone Americana, but that is not the case here. They’ve just reached back and embraced what it was that inspired them in the beginning. Touching, humble and straightforward, Cutting Crew have released the best full album of their career. It may not be their most commercially viable or have those massive hit singles, but it is definitely worthy to be heard by a lot more than just fans of their ‘80s material. You really need to drop all the preconceptions and give it a spin. A lovely album, indeed.